Service Learning: a learn-by-doing approach to the curriculum where students get real-life experiences while meeting community needs. Enter this section of the site for information on our Service Learning Program! 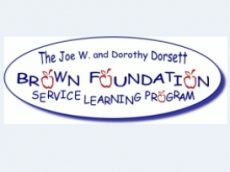 The Brown Foundation Center opened in March, 2003, and houses the offices of the Foundation, the Brown Foundation Service Learning Program, and other non-profit groups. Enter this section of the site for more information about the building, its tenants and the Community Conference Room. The Emmy Noether Awards seek the top aspiring female scientists in a STEM field to help realize their potential careers through financial and networking assistance. Enter this section of the site for information on the Emmy Noether Award scholarship recipients, scholars, application instruction, and FAQ's. Enter this section of the site to learn more about the Foundation, the application process and SupportSTEM. Our SupportSTEM applications were due on April 5, 2019. This is the second year of our SupportSTEM pilot program and we received 38 applications totaling $620,000 in requested funds! We are honored to play this small part in helping develop STEM programming in the New Orleans MSA. Stay tuned for recipient announcements early this summer! Our program to preserve the Louisiana coastline while simultaneously sequestering carbon to preserve the planet continues to matriculate. In March of 2019 the Salk Institute graciously hosted researchers from the Louisiana coalition (including Tulane ByWater Institute, LUMCON, Lake Pontchartrain Basin Foundation, The Water Institute of the Gulf, and - our Program Officer - Dr. Ronald Spencer) to work on the larger federal support grant applications. During the three days of meetings Dr. Spencer proudly presented an additional $100,000 grant to support the ongoing collaboration of the five research organizations. The Brown Foundation is committed to addressing the carbon build up struggles we face through science and believes the Salk Institute led marsh grass project can salvage the Louisiana coastline. Did you know the Brown Foundation has a large conference room that is free for exempt organizations to utilize for their training sessions, seminars and board meetings? From January 1, 2018 through March 15, 2019, the Foundation’s conference room has been used 159 times by dozens of different organizations we are proud to call our partners. If you or a charity you work with has need of a conference room in Metairie, Louisiana please contact Beth Buscher at 504-834-3433 and make a reservation. We already have 71 bookings for this totally free space (with free parking!) in 2019 so do not delay. The Foundation has a long, proud history of supporting first responders and we are proud to call The Professional Fire Fighters Association of Louisiana a partner in our efforts. PFFALA utilize no professional grant writers or outside fundraisers of any kind and they conduct all of their money raising efforts in-house. We were proud to issue our third grant to this organization in December 2018. Over the last twenty years, the Foundation has gifted $298,375 to Loyola University, but no gifts have been made to Loyola since 2011...that is, until January of 2019! 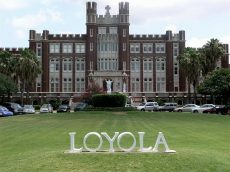 Our very first grant in 2019 is a $30,000 feasibility/planning grant to Loyola University for the launch of a new post graduate program that we have been working with Loyola to develop since the fall of 2018. This program, assuming development, will be the first of its kind in the United States and will draw sophisticated and already successful students to Loyola from all over the country. Check back in the summer of 2019 to learn what exactly our new and exciting partnership with Loyola may entail. Our final grant of 2018 was a matching grant to the North Texas Food Bank in the amount of $1,000. We agreed to be their Foundation match for their “Flip Off Hunger” fundraiser event up to $1,000 and they earned over $1,000 and received the entire match. Thank you to all who helped our friends at the NTFB meet their event goal! We proudly support many STEM museums and aquariums around the country that have novel programming. One of those is Shedd Aquarium in Chicago who operate a floating field station the R/V Coral Reef II docked in Miami and working throughout the gulf coast and Caribbean. This custom-designed floating field station and laboratory is indispensable to Shedd’s conservation research, education programs and collecting expeditions. In late November 2018, the Louisiana Universities Marine Consortium hosted scientists from the Tulane ByWater Institute, The Water Institute of the Gulf, and the Lake Pontchatrain Basin Foundation (among others) along with two program officers from Brown. For their efforts and in order to assist LUMCON secure and participate in a much larger federal program, the Foundation issued a $20,000 planning grant to LUMCON. 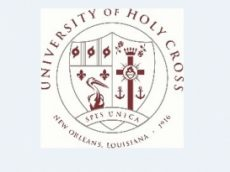 Following an extended weekend worth of meetings among five major research institutions, universities and the Foundation around the Houma area, the Foundation proudly issued a $20,000 planning grant to Tulane ByWater Institute to aid Tulane in applying for a larger federal grant in the carbon sequestration space to save our coastline. The Lake Ponchartrain Basin Foundation shares Brown’s vision for protecting our coastline and sees the importance of marsh grass to the vulnerable gulf coast region and all the animals inhabiting same. On the day before Thanksgiving 2018 we issued our first grant to the Lake Ponchartrain Basin Foundation in more than a decade. We are proud to renew this partnership and look forward to the matriculation of the science. Biotechnology is key to the economic growth of the entire gulf coast region and the United States. Throughout this country biotech incubators have been forming to help aspiring scientists take their ideas from the laboratory and put them into commerce. Located just outside of the French Quarter, the New Orleans BioInnovation Center has received three grants totaling $90,000 since 2017. Our support of the New Orleans BioInnovation Center does not stop at cash contributions, we have proudly produced guest speakers for their conferences and have provided other critical services to help them fulfill their mission. Louisiana knows what it is like to be victim of a natural disaster. We send our thoughts and prayers to the residents of California suffering from the 2018 wildfires. In November, our board authorized emergency contributions totaling $60,000 to aide in alleviating the suffering. 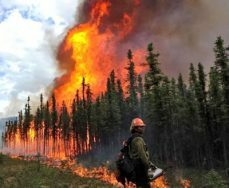 It is an honor to be able to assist the firefighters, the families of fallen firefighters, the communities they protect, as well as the animals and pets of those communities. Photo credit to the U.S. Dept. of Agriculture. On October 22, 2018 our Program Officer of the Health, Medicine and Science Committee - Ronald P. Spencer, M.D. - visited three organizations in order to learn what charities in the northeast are doing to address their respective hunger and homeless needs. During these three site visits Dr. Spencer presented each group with an exploratory grant check to aid in their mission programming. It was an honor and pleasure for Brown to learn from these three organizations and pass that knowledge down to organizations we work with more frequently. We would like to highlight the good work of Saint Thomas Church Soup Kitchen, St. Johns Bread of Life, and Grand Central Neighborhood Social Services and we were pleased to award all three grants. Photo from left to right: Brady Crain, Executive Director of Grand Central Neighborhood and Brown Foundation Program Officer, Ronald P. Spencer, M.D. The Foundation has a proud history and partnership with law enforcement. When one of our Program Officers polled various law enforcement agencies to determine areas of need we were surprised to learn that, nationwide, up to 200 police service dogs were killed or forced into early retirement due to serious injury sustained while on duty. In an effort to address this issue locally, and to try and gain some much deserved attention for canine units, a round of K-9 Unit Grants totaling $39,430 was issued to SEVEN Sheriffs Offices and Police Departments! 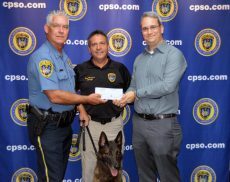 Pictured above is our President, Mr. Hunter presenting a grant to the Calcasieu Parish Sheriffs Office. The officers with the New Orleans police department talked and we listened to wish-list-items that would keep dogs safer and enhance the quality of their lives: Gun vests, knife vests, tactical first aid kits, duty-specific collars and leads and training tools to name a few! It was an absolute pleasure to meet some of the bomb dogs, narcotics dogs, apprehension dogs and SWAT dogs throughout this process. Pictured above: Jefferson Parish Sheriffs Office Lt. Frey, Sgt. St. John with JPSO canine, Mary Poché (Foundation Staff) and Deputy Chief of Special Operations, Robert Woods. Did you know that many K9 units go home with their handlers and are part of their families? Thanks to a $27,430 grant to the New Orleans Police Department, 6 police service dogs in New Orleans will have full GPS collars in case they become lost in their neighborhood and full police grade kennels in their home designed to safely contain these highly trained members of the police force. Pictured above: NOPD Officer D. Bennett, Sr. and his canine partner, Toby. The Kenner police department has graciously attended our annual K-12 service learning celebration held every September for many years. Thinking of Zoran, a frequent favorite at our service learning event, we were determined to get him what he and his fellow canines needed to safely perform his duties. 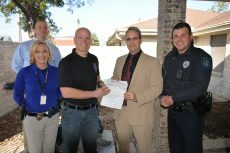 Pictured above: KPD Handler with K9 Unit, Lt. Desforges, Mary Poché (Foundation Staff), Police Chief Michael Glaser, Sgt. Tusa with Sasha. Can you believe the Foundation and Ducks Unlimited have never crossed paths before 2018? Us either! What a great pairing for our conservation and environmental efforts. We responded to a superb Letter of Interest from Ducks Unlimited and, after much due diligence into their organization, reached out to them with approval to apply. In November of 2018, the Foundation proudly issued its first ever grant to Ducks Unlimited. This initial $50,000 gift is ear marked to assist with expansion of the Rice Stewardship Partnership into Louisiana. This project will aide Louisiana rice producers on improvements in nutrient management for better production, improved water quality and healthier habitat for waterfowl and people alike. Meeting a human need: Heartstrings and Angel Wings provides clothing and handmade items for babies in Neonatal Intensive Care Units. Clothing for babies under 5 pounds is simply not readily available. This hardworking Breaux Bridge / Lafayette area operation provides comfort to babies and their families during a very stressful time. Brown was proud to issue its fifth gift to this organization on October 15, 2018. 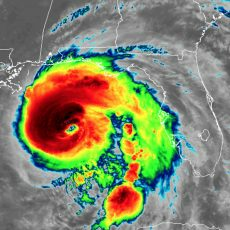 After Hurricane Michael 2018 hit the Florida panhandle, we were especially saddened. The Greater New Orleans and Mississippi Gulf Coast communities know how devastating these destructive storms can be and our communities were blessed in 2005 to receive much aid from foundations that were out of state. 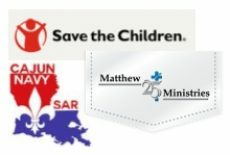 Immediately following Hurricane Michael we proudly deployed emergency aid relief to three groups in hopes of alleviating suffering caused by the storm: the Cajun Navy 2016, Matthew 25: Ministries, and Save the Children. Blessed to know and support this organization located in Slidell Louisiana, serving the venerable and homeless within their community. 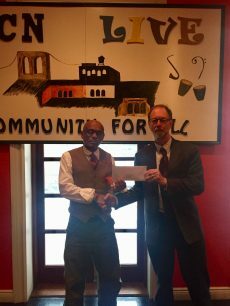 The Foundation is proud to support his new grant recipient, Community Christian Concern. Our October 2018 grant to this organization was $18,000. Another group in the venerable Slidell area, The Good Samaritan Ministry. In October 2018, Good Sams received its seventh grant approval over the last decade, bringing their total gift receipts to $115,000, in support of their Emergency Case Management program. The Foundation recognizes that mental illness is a disease that devastates not just those directly afflicted, but their entire families. In 2018 we commenced a proud partnership with the National Alliance on Mental Illness to aid the venerable community of St. Tammany Parish. In October 2018, HeartGift Louisiana received its eighth consecutive grant approval from the Foundation! This group has never been denied support by the Foundation. Children with heart defects travel from China, Jamaica, Uganda (to name a few) to the Children’s Hospital New Orleans for life saving treatment, and return home healthy. Over 50 children have been welcomed to Louisiana for life-saving surgeries. 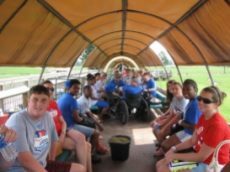 Four grant awards totaling $55,000 have issued to this group for their Low Vision Program serving children in the Greater New Orleans area. SSA combats the drastic disadvantages severe vision reduction presents to children academically and developmentally. Electronic Video Magnifiers (pictured below) are given to children, and one-day clinics are provided to train family members on every function of their equipment. 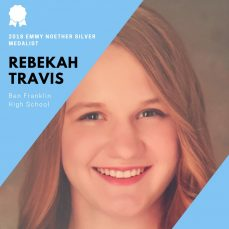 We are very proud of Rebekah Travis, a 2018 Emmy Noether Silver Medalist, who interned at the Fellowship of Orthopedic Researchers this summer! Rebekah is currently a student at the Georgia Institute of Technology and is aspiring to be a mechanical engineer. Project Lazarus provides transitional housing to people in southeast Louisiana living with AIDS/HIV where care is individualized according to need. The Foundation’s support for Project Lazarus began in 2007 for volunteer coordination, therapeutic actives, and more recently we have been supporting the Food and Nutrition Program. Over the last decade, more than $80,000 has been gifted to this group by the Foundation. Our 2018 Service Learning Event was a great success! 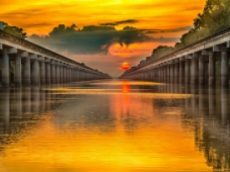 It was held at the Lake Pontchartrain Center in Kenner, Louisiana. At over 1,500 attendees, we broke our own record! Event exhibitors that met with students, teachers, and other educators included many non-profits such as Holy Cross University, New Orleans Mission, Tulane University K-12 STEM outreach program, Nature Conservancy, Victory in Service and more than 40 other fantastic organizations. Pictured below is Todd Wackerman, Executive Director of the STEM Library Lab, speaking during the opening program. 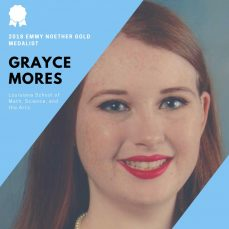 2018 Emmy Noether Gold Medalist, Grayce Mores is an aspiring researcher who would like to continue her work in virology. She is an intern at Duke University and researching the Epstein Barr Virus. Grayce aspires to complete a MS in Public Health and a PhD in her field. Grayce aspires to complete a MS in Public Health and a PhD in her field. As gold medalist, she may receive $25,000 of funding for each of three years that she remains in a graduate level program to obtain a degree in a qualified STEM program through which she will continue to pursue research and discovery. 2018 Emmy Noether Silver Medalists! 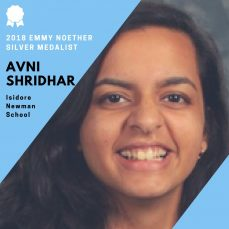 Pictured above, Avni is a national merit finalist and an award winning orator on the Speech and Debate team. She has conducted research with the High School Summer Research Internship Program at Louisiana State University. She hopes to complete a MD/PhD and develop better drugs for diseases such as HIV. Pictured below, Rebekah is captain of FIRST Robotics Competition Team 4087 and the founder of the BFHS Society of Women Engineers chapter. She is a 2017 World FIRST Robotics Competition Dean’s List Winner and a 2017 Society of Women Engineers Global Innovator Award Winner. She plans to continue her STEM journey as a mechanical engineer. 2018 Emmy Noether Scholars! Welcome to a network of motivated young female scientists working to further science, innovation, and discovery for students and scientists of all ages and backgrounds. 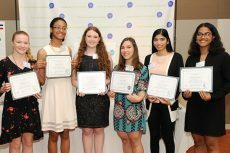 Pictured from left to right: Rebekah Travis, Amaris Lewis, Grayce Mores, Alexis LaRosa, Nameera Islam, Mariza Francis and Avni Shridhar (not pictured). How did you spend your President’s Day in 2018? 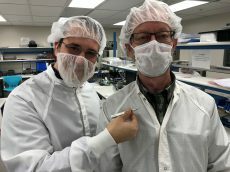 Our trustee and program officer over medical research, Dr. Ronald Spencer, spent his President’s Day in a research lab at the University of Utah with Dr. Florian Solzbacher inspecting the progress on the implantable biosensor that may revolutionize many otherwise painful or impractical blood screening/testing needs for millions of people. A grant commitment of $400,000 to the University of Utah has been awarded for this groundbreaking research. 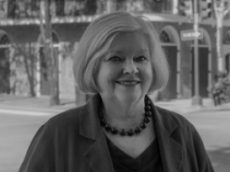 Prescott Deininger, PhD serves as the Director of the Tulane Cancer Center and currently holds The Joe W. and Dorothy Dorsett Brown Foundation Chair in Oncology. 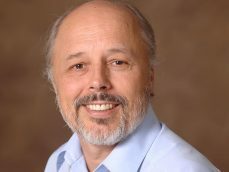 Dr. Deininger is a leader in understanding intrinsic elements of genetic instability in the human genome, particularly in cancer, and his laboratory has been continuously funded by the National Institutes of Health since 1981. The Foundation is proud to announce a $750,000 program related investment into Gulf Coast Housing Partnership. 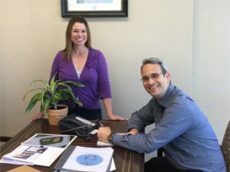 Featured in the photo is Kathy Laborde, President and CEO of Gulf Coast Housing Partnership along with Dr. Ronald Spencer, a Foundation Program Officer and Trustee. Studies suggest that up to 10 million children witness some form of domestic violence annually. Humanity must do more to prevent domestic violence and break the cycle. In 2018 the Foundation has proudly awarded grants to Palmer Home for Children, Iris Domestic Violence Center, the Gulf Coast Center for Nonviolence, Safe Haven Family Shelter, Shreveport-Bossier Rescue Mission, Center for Hope and Safety, and the MS Coalition Against Domestic Violence. In an effort to foster relationships and cooperation amongst our grantees and expand on Second Harvest Food Bank’s reach throughout the state, the Foundation brokered deals with five community foundations to create partnerships with Second Harvest! Through the use of Designated Fund agreements, these five year partnerships will surely help alleviate human suffering. In March of 2018, the Foundation proudly issued a $50,000 grant to support the continued groundbreaking research of the Fellowship of Orthopedic Researchers. 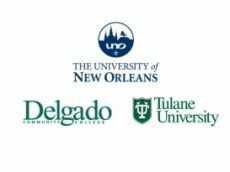 FOR has assisted over a dozen students from Tulane and LSU acquire doctorates in STEM areas. 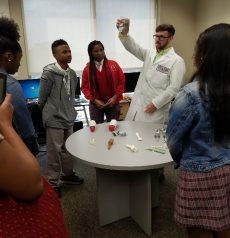 The doors of FOR are frequently opened to primary school students interested in STEM, as they were in these photos from April of 2018 when students from Langston Hughes Academy were treated to lab tours. At the request of fellow Foundation grant recipient - the Wounded Warrior Project - FOR is currently dedicated to engineering a superior industrial grade anchor for prosthetic limbs. 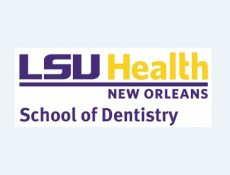 Support for Louisiana State University Health Sciences Center is at $1,981,403 dollars in research and development for a Novel Fluoride Releasing Dental Composite Resin and the Fabricaition of Ross Lined Polymar Nanofibers! The research under this grant spanned 14 years and has recently successfully concluded. As an avid animal lover, Dorothy Dorsett Brown initiated the first SPCA building in New Orleans, on Japonica Street. During construction, she housed the animals at her own farm in Braithwaite, Louisiana. 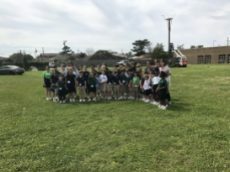 Mrs. Brown’s dream was to see a newer and larger facility built, so after Katrina and with her vision in mind, the Foundation partnered with the SPCA to construct the Mardi Gras Blvd location. Contributions to the Louisiana SPCA have totaled $2,776,270. 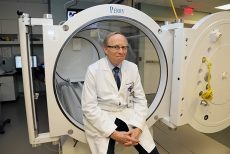 The Foundation issued a grant to Harch Hyperbaric Institute in 2017 for groundbreaking work in oxygen theraphy. Thanks in part to this research support funding, Dr. Harch was involved in what is being referred to as a miracle cure for a little girl who had drowned. Please see our newsfeed section for more information on how Dr. Harch saved this girls life. The Foundation proudly supports various law enforcement agencies and partners with law enforcement agencies for the betterment of humanity. We have proudly supported the Louisiana State Troopers and state sheriff associations since 2012 and made our most recent gift to them in March 12, 2018. Nearly $200,000 in grants have been awarded to the Jewish Family Service of Greater New Orleans. This proud partnership has existed since the 1990s and underwrites their Teen Life Counts, a school-based suicide prevention program serving middle and high school students in the GNO area at no cost. The Joe W. and Dorothy Dorsett Brown Foundation support for the National WWII Museum commenced in the late 1990s. We were one of the first groups to fund this museum to ensure it would be located in New Orleans. The Museum opened on the 56th anniversary of D Day, June 6, 2000. 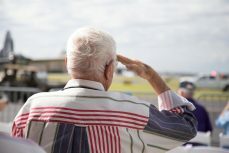 Under the leadership of our President Emeritus, a WWII Veteran, D.P. Spencer and the board of trustees, the Foundation went on to pledge support for the Special Exhibit Gallery in Discovery Hall ... an Oral History project ... the Into the German Heartland, End of War exhibit in the Campaigns Pavilion ... the Loyal Forces: The Animals of WWII that was featured in the Special Exhibits Gallery in 2010 ... and the Searching for International Justice and Order and Services Exhibit in the U.S. Freedom Pavilion. This is one of our most proud partnerships. D.P. Spencer will speak to visitors at various points on their trek through the museum via previously recorded videos. One of the oldest partners of the Foundation, the Audubon Nature Institute, has hosted thousands of student participants in the Foundation’s Service Learning Program. Further, the Foundation has partnered with the Audubon Nature Institute to make the Butterfly Garden and Insectarium a reality in New Orleans. More than a half dozen other novel projects and grants come to a total of $1,658,250 to the Audubon Nature Institute during our long standing and very proud partnership. 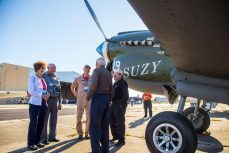 In honor of the Greatest Generation and in proud partnership with Greater New Orleans Sports Foundation: The Joe W. and Dorothy Dorsett Brown Foundation sponsored 400 low income seniors to visit the 2017 WWII Air, Sea and Land Festival! Chairman of the Board, David B. Spencer, visited WRBH Radio for the Blind and Print Handicapped in December 2017. He is pictured above with Natalia Gonzales, Executive Director of the radio station. Visit www.wrbh.org to learn more about this worthy, volunteer-driven cause, whose mission: turn the printed word into the spoken word so that the blind and print handicapped can receive the same ease of access to current information as their sighted peers. 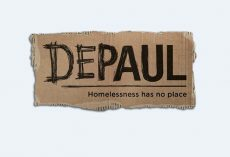 The Foundation is a long time supporter of DePaul USA and we agree that “Homelessness Has No Place”. The Foundation’s most recent grant to DePaul USA has resulted in 60 people exiting homelessness in New Orleans. 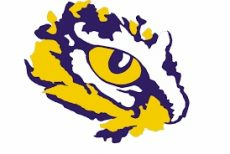 LaPREP and Its Associated Programs of LSU Shreveport received fall 2017 and spring and summer 2018 support from the Brown Foundation to help underwrite the enrichment programming for high ability elementary and high school students. Contributions to date have topped $300,000. 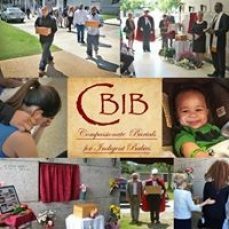 Compassionate Burials for Indigent Babies (CBIB, Inc.) has been supported by us since 2015 and recently received a full approval in general support providing "dignified burials for abandoned or indigent babies" and for raising awareness of the Safe Haven Law. The Whistle Stop provides supervised visitation for families referred by Family Court which can include foster care children and high conflict divorce and custody cases. In 2018, the Brown Foundation will supplement 375 hours of supervised visits for non-custodial parents with their children! The Brown Foundation proudly supports the efforts of Junior Achievement of Greater New Orleans. While striving to inspire and prepare young people to successfully participate in our economy through workforce development, entrepreneurship and financial literacy, this group has received over $400,000 in approvals from the Foundation over a two decade period. The Brown Foundation is proud to have supported both the Girl Scouts and the Boy Scouts an aggregate amount of $1,454,015 over the years. 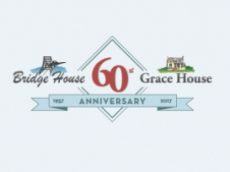 The Foundation has proudly awarded $1,209,630 in grants to Bridge House / Grace House. “If it is hard for you to watch someone suffering from addiction, imagine how miserable it must be to live with addiction. Bridge House / Grace House serve a vital role in relieving human suffering and it is our privilege to support their programs” - Ronald Spencer, MD, Brown Foundation Healthcare Program Officer and Trustee. For the past several years the Foundation has committed hundreds of thousands of dollars to help Holy Cross create and establish a food science degree program. In September of 2017, the Foundation renewed its commitment to Holy Cross’s food science program and will now assist with the development of the beverage science concentration program. Support for the Atchafalaya Terrebonne Basin is and always has been of crucial importance to the Brown Foundation. The Brown Foundation has proudly awarded grants totaling $220,000 to the Atchafalaya Basinkeeper. Special thanks to @johnchittyimages for the stunning photograph. Second Harvest Food Bank and the Brown Foundation have partnered in the relief of human suffering for many years. Our support for the relentless efforts of Second Harvest have recently eclipsed $1.3 million. Their mission - ending hunger in the Gulf Coast states by providing food access & disaster response – should be admired by all. 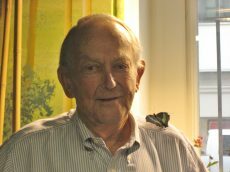 Joe W. Brown identified polio as “the greatest plague of our time” and worked tirelessly to help distribute the vaccine. In the decades that followed, Dorothy Dorsett repeatedly hailed Jonas Edward Salk as a “hero, champion, and miracle worker” and credited him with “saving humanity by solving polio”. 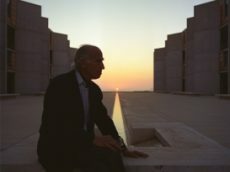 Over the past several decades, the Foundation has proudly supported the SALK Institute for Biological Studies’ research initiatives in the amount of $2,573,140. 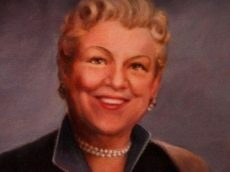 One of Dorothy Dorsett Brown’s favorite charities: The Foundation is proud to have given over $1 million in grants to the Salvation Army in honor of her. The Foundation introduced service learning to Louisiana. Through our Service Learning Program we have proudly contributed $6,195,922 to our community in Louisiana and Mississippi. Contact our program managers - Tina Bouzon and Jonathan Baynham - for more information. Our President, E.F. Hunter III speaking at the Annual Service Learning Event, held at the Ponchartrain Center 9/12/2017. The Foundation is proud to have supported Camp Bon Coeur for children with heart disease in the amount of $350,000 since 1999. The program officers of the Foundation enjoyed their recent summer site visit. Our partners at The Nature Conservancy have been champions of our environment for decades. Grants totaling $1.6 million have also been awarded to The Nature Conservancy for their environmental efforts. The Foundation has given $2.9 million to Tulane University and its affiliated programs over the past two decades. Most recently, we are proud to announce support for The Tulane Cancer Center’s Belancio Laboratory. Victoria Belancio, Ph.D. will work with Emmy Noether Scholars for one year, and teach them how to use bioinformatic tools to analyze human genome sequencing data. 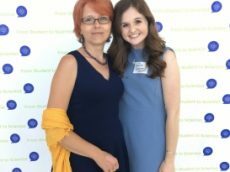 Pictured above is Dr. Belancio (left) with Madison Smither (right) at the 2017 Emmy Noether Award Inaugural Event. Dr. Belancio and Madison wrote the grant for the Tulane Cancer Center and were approved in full! Since 2008, the Foundation has contributed $336,500 to Victories In Services, an organization addressing student motivation in the upper-ninth ward by creating an environment where students can experience success and learn skills needed to increase motivation to learn. 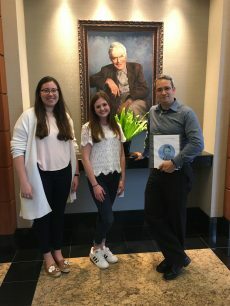 The Foundation is proud to announce a large research grant has been issued to UNO Department of Biological Sciences for the Howard Laboratory; two STEM projects approved to Delgado that will send a team to compete in iGEM in Boston, and a new partnership with Tulane Medical School to reduce the backlog of autism diagnosis in New Orleans from 180 to 30 over a two year period. E.F. Hunter, President, signing a $900,000 PRI grant in favor of local New Orleans homeless shelter. The Foundation partnered with The Nature Conservancy and St. Paul’s Episcopal School to build an osprey nesting platform adjacent to our building. Now we await the great birds to occupy the habitat! 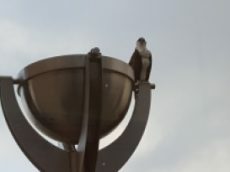 Since June 2016, an osprey has been regularly seen on the Brown Foundation’s building light fixtures. E.F. Hunter, our President, with Madison Smither and Illaria Simeone, working on the Emmy Noether Award. Did you know the Toys for Tots program, founded by the United States Marine Corps, is supported by law enforcement agencies across the United States including the LCPD who we have supported in their fundraising efforts for three years and counting?